A sleeping preacher? There couldn’t really be such a thing, could there? That’s the question in Gladden the Heart. In the nineteenth century, amid revivalism movements, a number of religious groups experienced preachers who seemed to fall into trances or into unconsciousness and wake up to preach for lengthy periods of time. Despite having no training as preachers, they gathered followings. This happened even among the Amish. But could this be genuine? Could the lively, impassioned style of preaching more akin to the Methodist revival tents than the usual solemn ways of Amish worship lead to genuine spiritual experience? 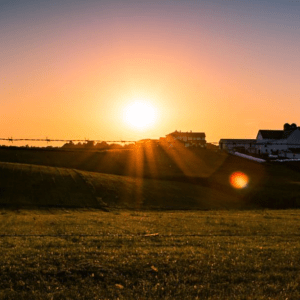 In Gladden the Heart, as some Amish become curious, they find themselves wondering: What is a genuine spiritual experience? The question turns personal for Susanna when her beloved cousin Noah begins preaching while under trances and crowds gather to watch. She and Adam, her intended, must grapple with whether love is possible if they come to different conclusions. 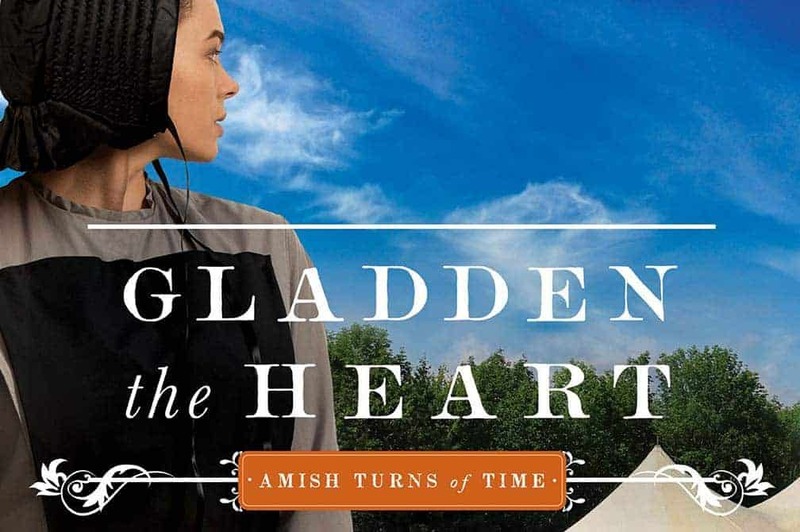 Gladden the Heart is the latest in the Amish Turns of Time series that began with Wonderful Lonesome. To celebrate the new story, enter to win a copy of Wonderful Lonesome, where it all started, or a copy of Gladden the Heart. To enter, leave a comment and let us know which book you would love to win. Two winners will be selected at random and announced on Wednesday June 14th! The five titles in the Amish Turns of Time series include Wonderful Lonesome, Meek and Mild, Brightest and Best, Hope in the Land, and Gladden the Heart. Olivia Newport chases joy in Colorado at the foot of the Rockies, where daylilies grow as tall as she is. I would like Wonderful Lonesome, please. I love reading Amish stories. I would like to win a copy of Wonderful Lonesome to start me on the series. Thank you. I would like to win a copy of Brightest and Best. I love your books. Thank you for the opportunity. 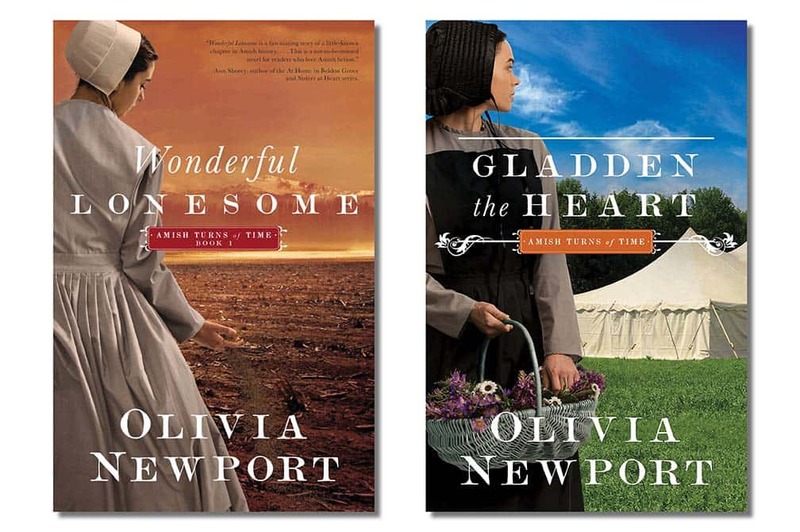 Love Olivia’s books, love this series and would love to win the newest “Gladden the Heart”! Thank you for the chance to win a copy. I am so happy to see your name back out here, I have read your books and have always enjoyed them. I sure would love to win your book, and then be able to make a review on it. I’d love these books on audio too! I’m sending this entry for my wife, she loves reading the Amish novels. I would love to win “Wonderful Lonesome” since I have the other book on pre-order 🙂 I’ve only read “Hope in the Land” and it hooked me right away! Olivia is a wonderful authir, I look forward to reading more of her books. Thanks for the chance to win! you for sharing your books. Would love to win Wonderful Lonesome. Thanks for the chance. gladden the Heart, as I love reading and just got back to Arkansas . Thanks. i would be so happy to win wonderful lonesome as it would be the first of your books for me thanks! I love reading Amish books so either one. I would love Gladden the Heart. Thank you so much for the chance to win. Would love to win the first book, “Wonderful Lonesome”. Any of your books would be wonderful! Since Wonderful Lonesome is the first in the series, that’d probably be best unless each is a stand alone book. Thanks so much for sharing this chance to win! I would love to win A Wonderful Lonesome, but would really like to win either book! I would love to win her book, “Gladden the Heart”. We already have the book, “A Wonderful Lonesome”. If I win, this book will be going to the Church Library. I need to go to the beginning, Wonderful Lonesome. Thanks. I would love to read either of these books but if I had to choose it would probably be Gladden the Heart. The covers are fantastic and colorful. Thanks for the chance to win one of these books. Wonderful Lonesome, please. These both sound so wonderful! Hi, I would be very interested in Gladden the Heart as i know it will be just as wonderful as your other books. Wonderful Lonesome sounds wunderbar to me, but I’d also love to have Gladden the Heart! This is a new series to me. I would love to start at the beginning and read “Wonderful Lonesome”. Really enjoy reading Amish fiction and would like to read this series. Diane Paulson is the winner of Wonderful Lonesome and Judith A Fritz is the winner of Gladden the Heart. Congratulations! Thanks for entering, everyone!